For Christmas in July I created for ClericalRodent, who had a great list, I had so many ideas of what to make, but I eventually decided on some extracted and converted clutter, 2 lots and, as a bonus, a mod. 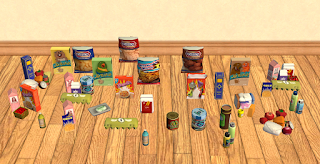 More pictures and lists of included objects can be found in the RAR folder. 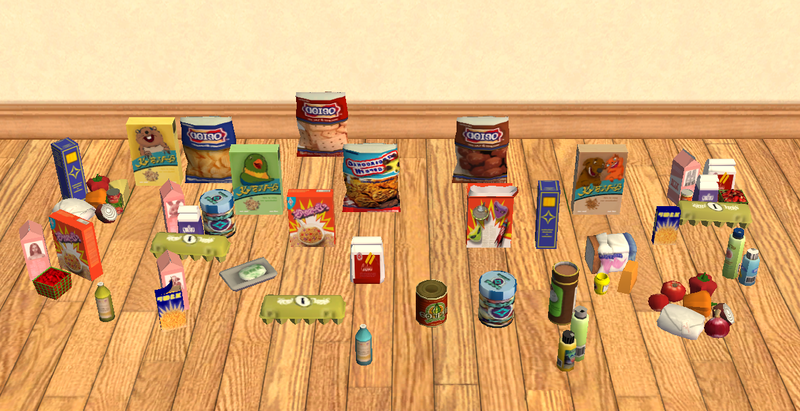 A few objects refused to package; these are included in the folder marked Objects for Lots. Some of the clutter below is used in the lots. 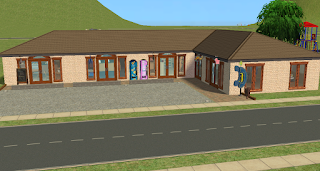 The School is a 3x3 lot and the shops are on a 3x2 lot. 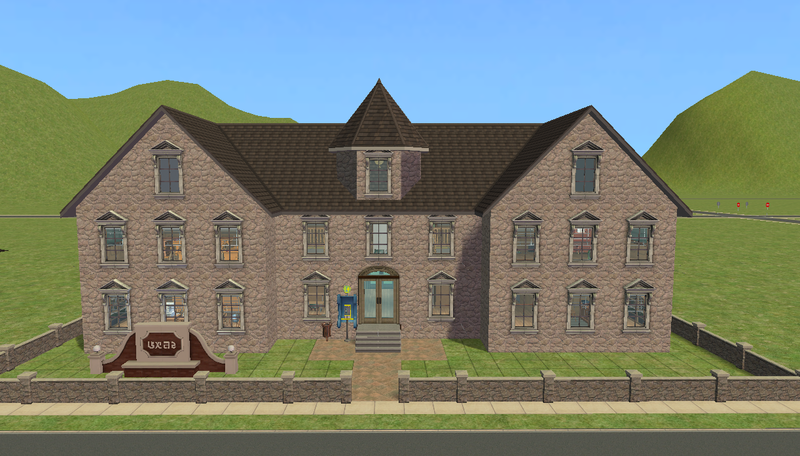 Both are community lots made with all Eps and Sps. 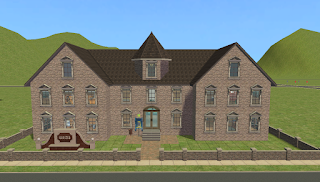 NOTE: I have been unable to get into the SimPe website to get GUIDs, so all the objects in this post have randomly generated GUIDs. 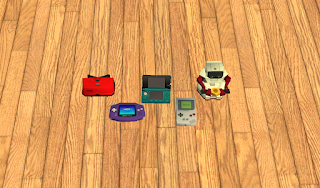 They do not seem to be conflicting with anything in my game, however if you have any issues, just try changing the GUID (however doing so will break any recolours, so these will have to be remade). If you need any help with this, just message me. 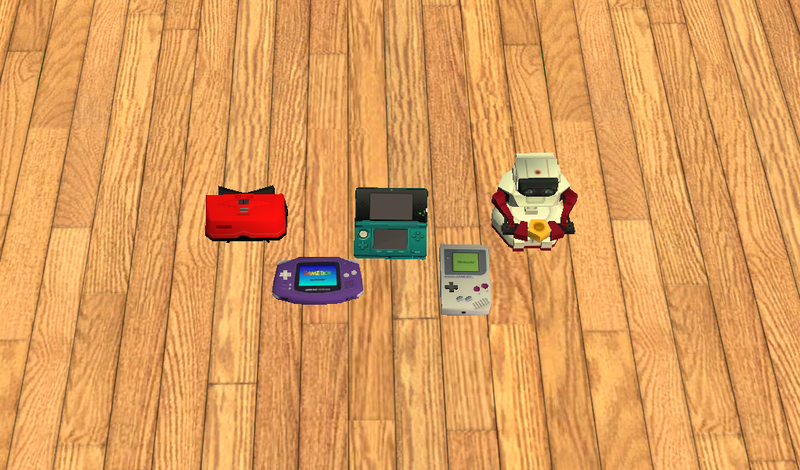 And lastly, the bonus mod I mentioned. 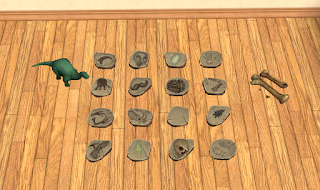 I used Mod Ur Dig by HugeLunatic (Found Here: http://modthesims.info/d/531434 ) and made it so your sims can dig up the Dinosaur Fossils, as well as several other Fossils, Bones and Skeletons I had in my game. 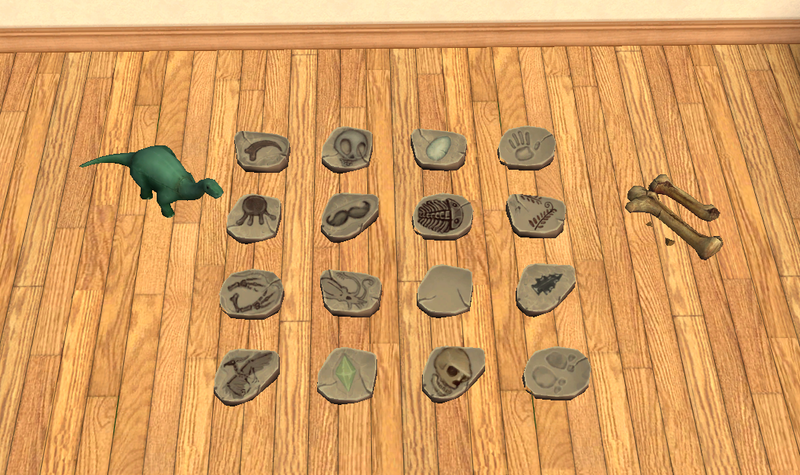 These are: TS3 dinosaur footprint by me, small dinosaur skeleton by Amovitam, and a dragon tooth, random bone, bone chew toy, and two animal skeletons from TSM, converted by VampireKiss6661 at the Plumb bob keep. I have included these in the folder with the Mod Ur Dig file for convenience. I also made it so your sims will not ever hit those annoying water pipes when they dig!